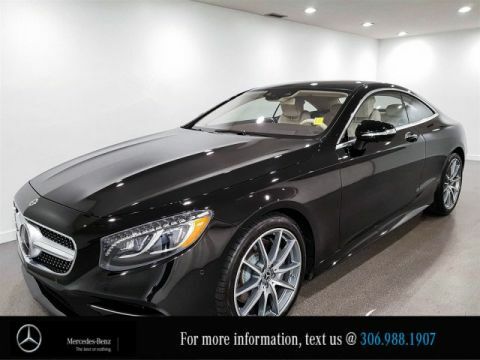 Blind Spot Monitoring, Bluetooth, PARKTRONIC, DISTRONIC Plus, Back Up Camera, Integrated Garage Door Opener, Memory Package, Running Boards, Parking Package, Heated Front Windshield, Bull Bar, 21" Multispoke Wheels, AMG Performance Steering Wheel, Harman/Kardon Sound System, SIRIUS Satellite Radio. 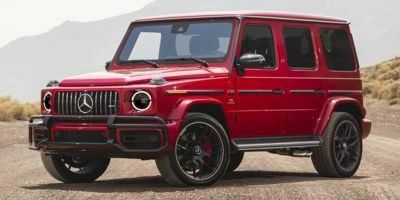 Calling all the G-Wagon lovers!! 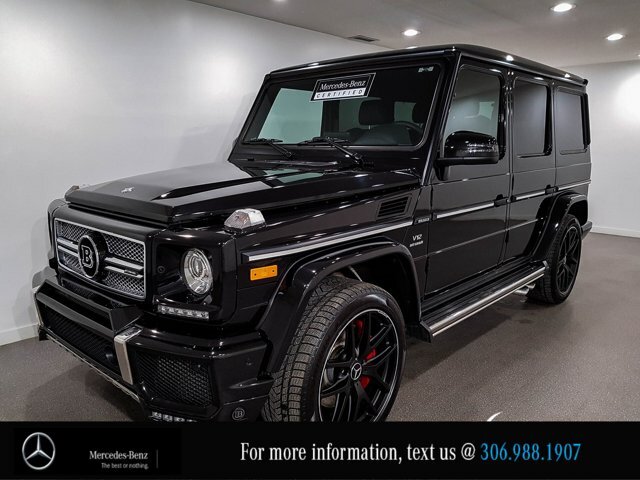 This G65 is Boasting a breathtaking amount of torque, this vehicle begs for someone to love it! It is stocked with these options: Wireless Streaming, Window Grid Diversity Antenna, Wheels: 21" 5-Twin-Spoke, Valet Function, Trip Computer, Transmission: AMG Speedshift PLUS 7G-TRONIC, Transmission w/Driver Selectable Mode and AMG SPEEDSHIFT Sequential Shift Control w/Steering Wheel Controls,Cruise for miles in this fabulous and playful Mercedes-Benz G-Class. 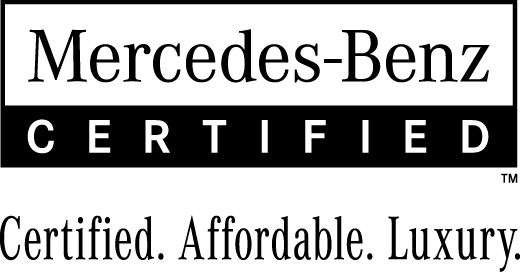 Live a little - stop by Mercedes-Benz of Regina to see it today!